We love our clients and take pride in building strong relationships. We'd like to offer you 2% off on all of your graphics when you display our "proudly printed by JMR Graphics logo on your graphics." Depending on the artwork we have a white and a black six inch logo that will be displayed on the bottom left of the graphics. We know times are tough and this will give you a little break to help your budget. 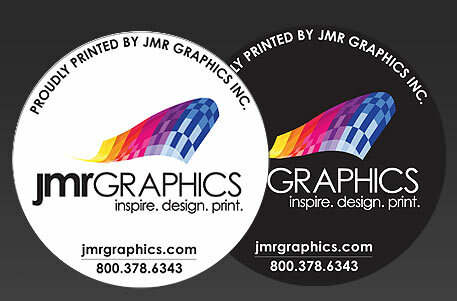 It's simple, all you have to do is email contactus@jmrgraphics.com with the promo code: 2013. We'll show the 2% discount being reflected on your next quote.